Quick Question: Are Haitian Republicans still Happy they voted for TRUMP? 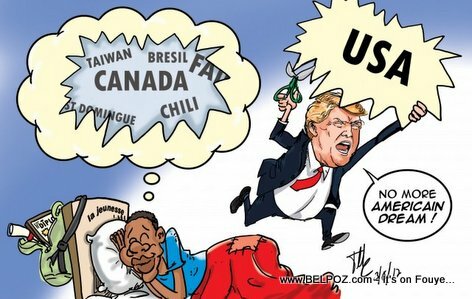 Trump's Zero Tolerance Immigration Policy, didn't he promise to be the 'Champion' of Haitian Immigrants? Unless you respect yourself nobody is going to respect you. How many Cubans and North Koreans do they send back home? They're making a killing on selling visa applications to your poor people; Do they need a visa to come to your country?